For a ceremony steeped in tradition as well as natural elegance, our luxurious Ek Dil Mandap range will help ease the new couple into their wedding ceremony with understated style and grace; with symbolic peacocks adorning heart-shaped alcove pillars which have been carved with care and precision to bring a unique sense of natural and ornate beauty to your special day. The Ek Dil Mandap can be decorated with floral display and ornamental touches as seen in our suggested set-up, with hand-crafted chairs for the marrying couple and a matching archway to bring husband and wife together under natural splendour. 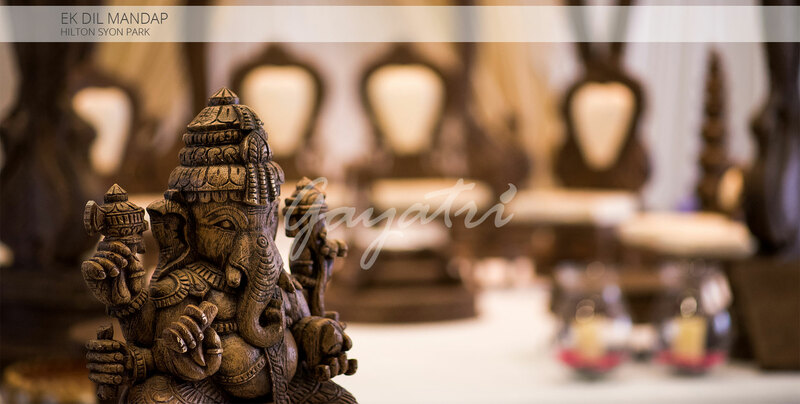 The Ek Dil Mandap is a superb choice for a couple looking to celebrate spirituality and the natural world with a uniquely-crafted and symmetrical beautification of the wedding plaza. A superb Mandap for indoor and outdoor use, this is a Indian wedding mandap that will create strong memories for family and friends alike.